Selecting a cloud storage provider today is a lot difficult than what it was a few years ago. Leading cloud service providers such as Dropbox, Google, OneDrive, Amazon, and Box are trying their best to capture the market with new features, competitive pricing, and incentives. Hundreds and thousands of businesses around the world are migrating between cloud storage providers to make most out of these benefits. Besides perks, factors such as high availability, security, application support, and collaboration features are driving enterprise cloud file migrations. OneDrive for Business is one of the hottest cloud storage destinations for business users. Competitive pricing, Office 365 license, productivity and collaboration tools, enterprise-grade security, and advanced sync technology are some of the top OneDrive features make OneDrive a highly-preferred cloud storage platform for enterprise customers. So, how do you move your files from Google Drive to OneDrive? Before we do that, let’s spend a minute to know more about CloudFuze and how it can help businesses and organizations around the world transfer their files from one cloud to another quickly and securely. CloudFuze is an online cloud aggregator that lets its users quickly connect to over 40 cloud storage accounts from a single screen and with a single login. Whether you need to move your data between clouds or want unified access that allows you to manage multiple clouds, CloudFuze lets you do that swiftly and effectively. CloudFuze also assists enterprises in transferring their complex and sensitive data from one cloud to another. Enterprise cloud data is a lot different from consumer data. Typical cloud data of a business consists not only files but also users. Therefore, along with files, a business needs to migrate users, folder structure, and even user/file permissions. Transferring data between Google Drive and OneDrive for Business or vice versa requires a third-party cloud file migration platform like CloudFuze. CloudFuze helps your business or organization migrate from Google Drive to OneDrive for Business in the easiest way possible.  How to Transfer Data from Google Drive to OneDrive for Business with CloudFuze? 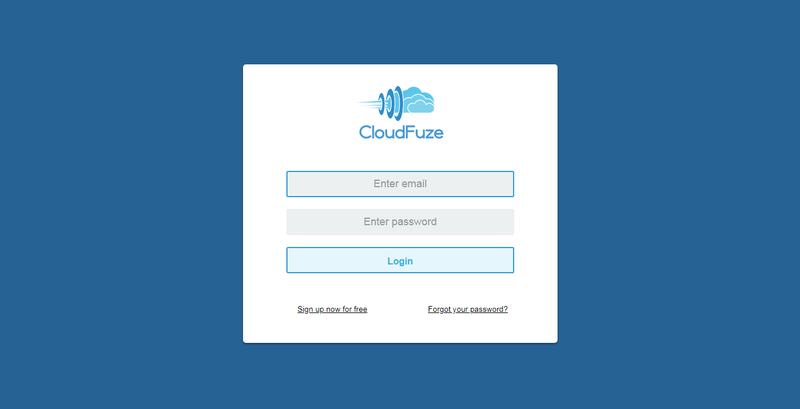 Firstly, you need to create a CloudFuze account to access the CloudFuze’s cloud file transfer web app. You may choose one of the CloudFuze’s competitive price plans to get started. Alternatively, you may sign up for the free trial to test the service. If you are planning to transfer a large set of data from Google Drive to OneDrive for Business, we recommend that you get in touch with us for a smooth and hassle-free assisted migration. Now, let’s check how to move files from Google Drive to OneDrive for Business. Upon clicking on the Clouds, you will be redirected to the clouds page where you can find 40+ consumer and enterprise clouds listed. Choose your preferred cloud there by clicking on the cloud’s icon. In our case, you should choose Google Drive and OneDrive for Business accounts. Now, enter the details requested such your clouds login details to grant limited third-party access to CloudFuze. As seen in the picture, the page displays a list of 40+ clouds that CloudFuze currently supports. You can also see how the page is sectioned into two categories with “Source Cloud” on the left and “Destination” cloud on the right. Select a file or multiple files in Google Drive (Source Cloud) that you want to transfer to your OneDrive (Destination Cloud) and click on the Migrate button that you can see on the top of the page. That’s it! Your Google Drive files will be transferred to your OneDrive for Business account. The duration of the transfer depends upon the size of the data you are planning to move. CloudFuze will keep you fully notified about the progress of the transfer and the report of transfer thereafter.